Brief CV: Fotios D. Kanellos was born in 1975 in Agrinio, Greece. He graduated from the School of Electrical and Computer Engineering of National Technical University of Athens in 1998 and received the PhD degree from the same School in 2003. 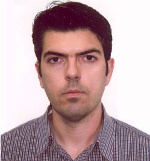 He is Associate Professor at the School of Electrical and Computer Engineering of the Technical University of Crete, specialized in Generation, Transmission and Distribution Electrical Systems. He is the author of more than 100 scientific papers published in international and national journals and conferences. He acts as a reviewer for several international scientific journals, as: IEEE trans. on Energy Conversion, IEEE trans. on Sustainable Energy, IEEE trans. on Power Systems, International Journal of Electrical Power and Energy Systems, IET Renewable Power Generation, Electric Power Systems Research, Solar Energy, European Transactions on Electrical Power etc. Research Interests: Electric Power Systems, Modeling of Electrical Networks with Dispersed Generation, Design and Development of Power Systems with high RES penetration, Wind Turbine Modeling, Optimal Operation and Modeling of All Electric Ship, Wind Turbines Control, Wind Turbine Autonomous Operation and Ancillary Services to the network, Smart Grids, Microgrids, Optimal Power Management of Plugged-in Electic Vehicles, Advanced Control Methods of Flexible Loads.